Now which one seems better? Theyre both whole food vitamins that are organic. The synergy company vitamins are isolated but still organic and made from organic foods whilst the super food plus ingredients are only whole foods such as algae and what not. The second link doesn't seem to have the vitamins/minerals listed that I can see. I'd advise against MULTI-vitamins. I'm not against supplementation at all, on the contrary. Our soils and water are deplete of nutrients, and even on Paleo we might need supplementation (especially people with gut issues who can't absorb food well). But the "multi" part in vitamins worries me. You don't need ALL these vitamins or questionable herbs, you don't need the specific amount they have for some of them, and you might need different chemical forms of some of the specific vitamins. So I'd suggest to use an app like Cronometer.com, enter in there what you eat, then find out where you're short on, and then just buy the specific vitamin only, in the best form (do a google search to find the best chemical forms for each nutrient, they're not all born equal, e.g. folic acid vs folate, or K2 mk7 vs mk4). Sure it's more expensive this way, but I think it's a better way, because you're more in control of what you're taking this way. For example, Magnesium is one of these elements that humans are devoid in the last few decades because it's depleted in our soil and water. Mg, along a fish oil and D3, and maybe some K2, are the only ones suggested by Paleo gurus, in fact. And yet, the Pure Synergy multi-vitamin only has 4% of the daily value, which is nothing. They also include no PQQ and CoQ10, which are a must-have if you're not eating offal (most people don't). And yet, not to be found in most multi-vitamins. I m not try any multivitamins supplements in my daily food diets. Yes, they're both whole food vitamins that are organic. 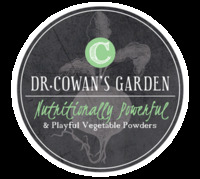 Dr. Cowan's Garden offers some nutritionally powerful vegetable powders: kale, chard, leek and root/leaf/fruit blends. As long as it free of preservatives, gluten, cheap additives, flavors and colors they should be okay.